No stranger to the center stage of hip-hop, the Virginia-born emcee has not let off the throttle in recent times, breaking through as a solo artist since his Clipse days while reaping the benefits of his G.O.O.D. Music affiliation. 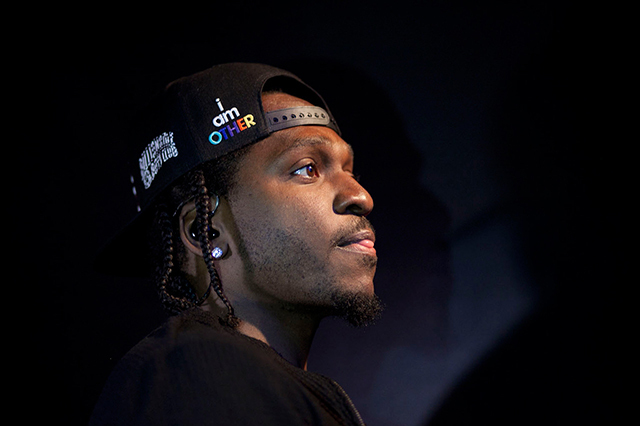 Pusha T’s well-favored drug-hustle raps came across succinctly in his premiere full-length drop My Name Is My Name, which saw features from Rick Ross, Kendrick Lamar, 2 Chainz and others. Zeroing in on his craft, 2013 showed us that King Push isn’t slumping, bringing listeners gritty cuts like “Hold On” and “Who I Am,” wrapped up in coke white DONDA-made packaging.